Dairy packaging used to mean one of two things: a gable-top carton or a plastic jug. That's changing, radically, as processors' emphases on the youth market, branding and convenience drive packaging in new directions. This breakthrough Kraft product delivered a health benefit, but the packaging also had to deliver in terms of single-serve convenience. Society's increased focus on fighting childhood obesity is creating ample opportunity for healthy, dairy-based beverages. Packaging for those new products is coming into play as a key marketing tool to attract children and teens. Shamrock Farms (www.shamrockfarms.net), Phoenix, Ariz., specifically targeted tweens and teens when it launched its popular Shamrockers flavored, low-fat milk earlier this year. "We believe milk is an excellent choice for kids of all ages, and especially teens. Nine out of 10 teenage girls and seven out of 10 boys do not get enough calcium in their diets," says Sandy Kelly, Shamrock Farms' director of marketing. "That's a target group that [provides] a lot of opportunity for explaining the benefits of milk, but it's also a group that has a lot of beverage choices," she adds. "We wanted to provide a product that would appeal to them on all fronts," including taste, nutrition and packaging. The Shamrockers packaging "speaks to them. They know it is for them," she concludes. The package is a high-density polyethylene (HDPE) bottle with a recloseable, screw-on cap and full shrink-sleeve label, which provides the maximum brand billboard. Osio International Inc. (www.osiopack.com), Anaheim, Calif., supplies the shrink-sleeve labels. The shrink sleeve's bright, graffiti-inspired graphics incorporate Shamrock Farms' spokescow, Roxie, wearing a beanie or sunglasses and holding an Apple iPod, skateboard or chocolate syrup bottle guitar. "It's very high-impact. There's a great impulse factor with that package. It just jumps off the shelf," Kelly says. The 12-oz. Shamrockers currently are distributed nationally through the vending channel and in Arizona via the retail channel. The company is launching the product in an 8-oz. bottle, as well, and is considering a half-gallon size for retail distribution. In the yogurt category, Breyers YoCrunch (www.yocrunch.com), Naugatuck, Conn., is using a seasonal packaging strategy to appeal to children. This autumn, the company created a Halloween-themed line extension. These candy-topped flavors are packaged in 6-oz. polypropylene yogurt cups printed with orange, black and yellow Halloween imagery. The transparent dome closure holds Butterfinger, M&Ms, Nestlé Crunch or Reese's Pieces mix-ins. This holiday season, the company also will launch its first Christmas-themed YoCrunch cup, topped with M&Ms candies. Plastipak Packaging Inc. (www.plastipak.com), Plymouth, Mich., supplies all of YoCrunch's cups. Overseas, Nestlé UK is targeting kids with its Munch Bunch Squashums strawberry yogurt. Each single-serving Squashums package is shaped like an oversize strawberry. The stretch blow-molded containers are made of polyethylene terephthalate (PET). The thin-walled "strawberries," which kids squeeze to dispense the product, are multipacked in a net bag; each bag holds six containers. Alcan Packaging (www.alcanpackaging.com), Paris, supplies the berry-shaped packages. Dairy food processors are using innovative packaging to appeal to adults, too, leveraging package structure and graphics for brand impact in the freezer or cooler. In the battle against other beverages, especially in vending machines, milk must appeal to kids on several levels: taste, nutrition and packaging. When Wells' Dairy Inc. (www.bluebunny.com), Le Mars, Iowa, recently redesigned the packaging for its Blue Bunny premium ice cream to enhance consumers' experience of the product, brand differentiation was an accompanying reward. Consumer research told Wells' Dairy that consumers wanted a package that provided a fresher and safer premium ice cream experience. In addition, they wanted a package that was cleaner, easier to use and fit more conveniently in their freezers. To meet those needs, the dairy came up with an oval plastic container made from high-impact polypropylene copolymer resin. The package features a resealable lid with a Fresh Lock tab to enhance the product's safety and ensure that the ice cream stays fresh longer. The shape of the container makes it easier to grip than a standard ice cream carton, and the package's wide opening allows for cleaner scooping. In addition, the new Blue Bunny containers fit into consumers' freezers better than traditional cartons. The Blue Bunny package graphics are rich and colorful, underscoring the product's premium positioning, and flavors are color coded for ease of selection. Each container holds 56 oz. of ice cream. As for branding, "The plastic, elliptical containers with exciting graphics immediately differentiate the Blue Bunny brand at point of purchase, since they are typically surrounded by traditional paperboard cartons," says Adam Baumgartner, senior marketing manager-retail brand development at Wells' Dairy. "In addition, since our packaging is so unique, it naturally causes consumers to view Blue Bunny as a brand of innovation," Baumgartner adds. "We love to deliver on our goal of surprising and delighting our fans with what's on the outside and inside of the container." Reid's Dairy (www.reidsdairy.com), Belleville, Ontario, also uses packaging to differentiate its brand. The company uses a 250ml carton that provides an eye-catching twist on the old gable-top carton. Reid's cartons, supplied by Elopak Canada Inc. (www.elopak.com), St. Leonard, Quebec, feature a dramatic curved panel down the side of the package. By adding surface area, the structural design opens up more room for branding and graphics. For more visual interest, the top panel swoops below the generously proportioned closure. The result is a package that stands out in a cooler full of old-school gable-tops. Reid's Dairy fills 1 percent, 2 percent and chocolate milk into the single-serving containers. The choice of curved cartons follows on the dairy's success with similarly shaped cartons for its premium juice and juice drinks; those are filled into 2-liter cartons. Finally, consumers' relentless demand for convenience, both at home and on the go, continues to redefine dairy packaging. Single-serve packaging and easy-open structures are a couple avenues processors are taking to deliver convenience. "One of the top trends in America is that convenience factor," says Shamrock Farms' Kelly. And the same holds true in Europe. Earlier this year, Arla Foods (www.arlafoods.com), Viby J, Denmark, switched from plastic bottles to Tetra Top "carton bottles" for several single-serving beverages. These chilled, on-the-go drinks include Pucko Ischocko, a chocolate milk drink; Smoothie Jordgubb, which is strawberry flavored; Smoothie Hallon, which is raspberry; plus three coffee drinks: Latte Kaffe, Latte Kaffe Vanilj and Latte Cappuccino. The Tetra Top container is a paper-based package fitted with an in-line injection-molded top. This format differentiates the product from those in plastic bottles and traditional cartons and offers a strong billboard effect at retail. Tetra Pak (www.tetrapak.com), Lund, Sweden, supplies Arla with the carton bottles. Consumers appreciate the Arla package's environmentally friendly character, as well as its convenience. The carton bottle is constructed using more than 50 percent renewable resources. Kraft Foods Inc. (www.kraft.com), Northfield, Ill., combines on-the-go convenience and a health benefit in its new prebiotic/probiotic LiveActive line. LiveActive cottage cheeses are packed in four-packs of 4-oz. cups, and LiveActive Natural Cheese Snacks are packaged as easy-to-consume sticks and cubes. In the freezer case, indulgent ice cream products in single-serve packages are getting a good reception. Wells' Dairy's Personals ice cream treats are packaged in an 8-oz. plastic cup that's decorated using in-mold labeling; flavors include Personals Banana Split and Personals Turtle Sundae. Another approach to convenience centers on ease of opening. For cheese packaging, Curwood Inc. (www.curwood.com), Oshkosh, Wis., has developed an easy-open film that provides convenient opening without tear tape. Called Curpolene 7202, the film uses a patented technology in which a score is made in the non-barrier, outer layer of film. The film structure combines oriented PET with a proprietary nylon/ethylene vinyl alcohol coextrusion. The innovation delivers a double win. 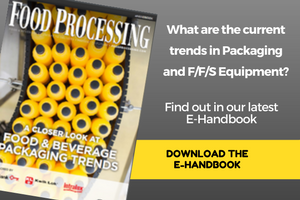 Consumers enjoy easy, controlled access to the product, and the processor streamlines equipment set-up and potentially increases packaging line speeds. A seal of approval or certification from a respected organization, printed on a food package, is one of the fastest ways to communicate product quality. The California Milk Advisory Board (CMAB) (www.realcaliforniacheese.com), Modesto, Calif., applied the concept to cheese in 1984, when it created the Real California Cheese seal. The seal assures consumers they are purchasing natural cheese made in California using exclusively California milk. Now the group is taking the same tack for other dairy products, with the creation of the Real California Milk seal. This mark certifies that dairy products bearing it are made exclusively with California milk. The seal began appearing on packaging for California dairy products sold nationwide in October. The CMAB's decision to introduce the new seal grew out of several years of industry research and discussions with distributors, retailers and consumers. The types of products that will bear the Real California Milk seal include butter, ice cream and yogurt. The group says it has earmarked $40 million for advertising and promotion to introduce the new seal in California and nationally. The campaign launched with a full-page ad in USA Today and national television advertising, with radio and outdoor advertising in select markets. The popular Happy Cows ad campaign is being expanded to support the new milk seal. Television advertising will continue to feature the Happy Cows but now will close with a scene depicting the broad range of dairy products produced in California and a new tagline: "Great milk comes from Happy Cows. Happy Cows come from California. Make sure it's made with Real California Milk." The CMAB will continue to promote Real California Cheese, and the cheese seal will continue to appear in advertising.